Here is one glamorous job for Pharmacists those who have atleast Five year experience. Do you think that you are the right candidate for this job? Want to know all details about IP Pharmacy Supervisor Job? 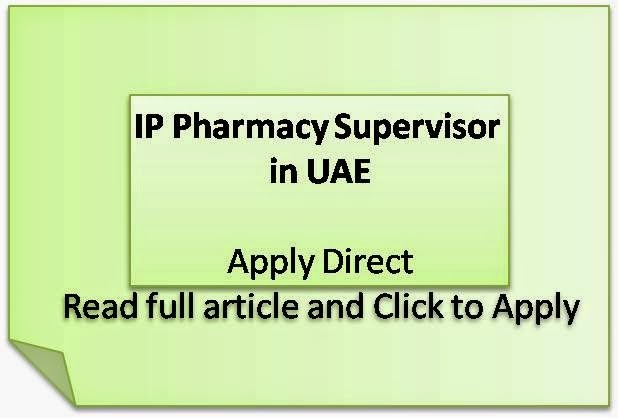 Read full and find the link to reach the Job Description page of IP Pharmacy supervisor in this great teritiary care hospital in AbuDhabi. Apply direct, after reading the details.